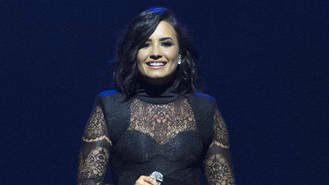 The singer split from actor boyfriend Wilmer Valderrama earlier this summer (16), and it doesn't appear as if she's wallowing in heartbreak and self-pity as she and pal Nick Jonas continue their joint North American tour. "I feel really amazing," she tells U.S. radio host Elvis Duran. "I feel really great and I'm growing. My life is just really, really exciting for me because I'm growing. It's new and fresh, and I feel free. "My life is in the middle of a lot of changes right now and I don't really have a house at this moment, so I'm actually kind of living out of a suitcase and on the road, so my tour bus is my home right now!" And she admits Jonas is helping her through any heartbreak, adding, "He's one of my best friends, so we get to hang out every single day, so it just makes it that much more fun. "This is probably the funnest tour I've ever been on. Sometimes you get on tour and you have to make it the most fun tour, but this one is accidentally becoming the best tour of my life." "Demi's one of my closest friends, we're like family and I also love Wilmer to death," he said on Watch What Happens Live! last month (Jun16). "We've become very close in the last couple years, so not true. "(It's) fair to say that (I hope) they both find happiness and are both happy and that's all that matters."